Ladies Nellie Blouse pastel pure cotton check design, short sleeves. 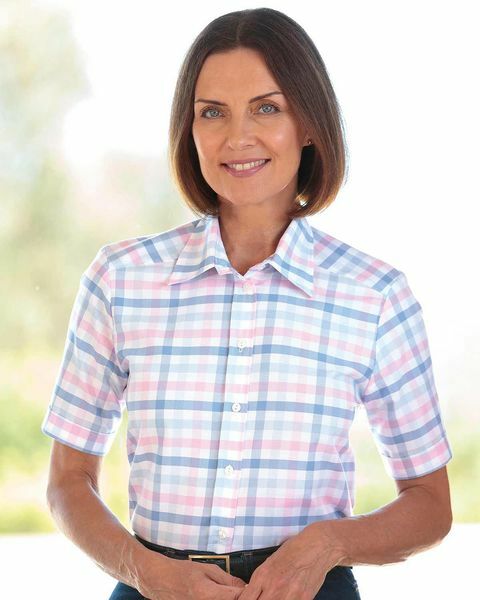 Ladies pastel pure cotton check design blouse in shades of light pink, cornflower and pale blue. Short sleeved style with mock turn back sleeve hems, straight hem and vents. With classic tailoring and a feminine check this blouse is a wardrobe essential.